Aftercare is a really important component of the recovery process. One study shows that teens who had been through rehab and gone through aftercare were approximately 10% less likely to use alcohol, and about 16% less likely to use marijuana than those teens who had no aftercare following substance abuse treatment.2 Further studies had similar findings confirming the efficacy of aftercare.3 Step-down programs offer an opportunity for a teen to continue recovery in a supportive environment; adolescents report aftercare as their top need following treatment.1 These needs may be fulfilled through various aftercare efforts, including progressively less-structured programs, support groups, and individual counseling, all of which this article will explore in greater detail. Outpatient treatment. Outpatient programs provide aftercare for teens who have completed a residential or inpatient substance abuse treatment program. Program participants will regularly meet with substance abuse counselors or other treatment professionals and attend groups that reinforce the skills that were learned in residential treatment. One type of outpatient treatment is referred to as an intensive outpatient program (IOP), which usually holds meetings after school hours for a couple of hours, 2–3 days per week. Partial hospitalization (PHP). This is a more intensive form of outpatient treatment that may meet 4–5 hours per day, as many as 7 days per week. However, for teens, most programs take place no more than 5 days per week; most attend a few days a week over a period of weeks. Other ongoing treatment. After your teenager attends an outpatient program, ongoing treatment is still important to remain sober. The factors that led your teen to abuse substances did not occur overnight, so these issues need to be addressed in ongoing counseling and support groups to help ensure continued recovery. After a formal outpatient program, most teens attend a combination of individual and family counseling. 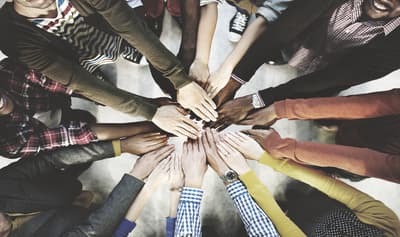 Teens are often strongly encouraged to attend support group meetings, such as those hosted by 12-step fellowships, to remain engaged with longer-term recovery with peers who are going through the same struggle. The Substance Abuse and Mental Health Services Administration (SAMHSA) offers a treatment locator website. Support groups are a vital part of aftercare for anyone in recovery. Many of these programs are based on the 12-step model and are run by members who are themselves in recovery rather than professional counselors. In these groups, members talk about their struggles with addiction, through which they support one another through the recovery process. 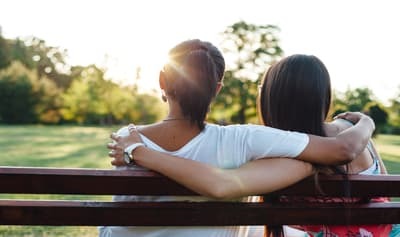 Typically, a teen entering a 12-step program will find a sponsor, which is someone who has been in recovery for a period of time and can help mentor them as they begin their journey. In many communities, meetings are offered throughout the day with no limit on how often a person can attend. Other groups, such as SMART Recovery, do not use a 12-step model or sponsors, but do have regularly scheduled group meetings. In some cases, after a teen completes residential treatment, an outpatient step-down program, and remains fully engaged in a support group, there could still be a need for ongoing individual counseling. This type of aftercare gives your child the opportunity to have personalized care that keeps them accountable to a professional who can objectively evaluate their recovery progress. Individual counseling may also help your child avoid losing the gains made in treatment, work through triggers for relapse, and address the underlying emotional issues that led to drug abuse in the first place. Therapist Locator – a service provided by the American Association of Marriage and Family Therapists. Acri, M.C., Gogel, L.P., Pollock, M., & Wisdom, J.P. (2012). What Adolescents Need to Prevent Relapse After Treatment for Substance Abuse: A Comparison of Youth, Parent, and Staff Perspectives. Journal of Child & Adolescent Substance Abuse, 21(2), 117–129. Kaminer, Y. & Bukstein, O.G. (2008). Adolescent Substance Abuse: Dual Diagnosis and High-Risk Behaviors. New York: Routledge/Francis & Taylor. Kaminer, Y., Burleson, J.A., & Burke, R.H. (2008). Efficacy of Outpatient Aftercare for Adolescents with Alcohol Use Disorders: A Randomized Controlled Study. Journal of the American Academy of Child & Adolescent Psychiatry, 47(12), 1405–1412. Dimeff, L.A. & Linehan, M.M. (2008). Dialectical Behavior Therapy for Substance Abusers. Addiction Science & Clinical Practice, 4(2), 39.